The gambling landscape in this state is very limited and the best way to go about Alaska legal online gambling is through licensed offshore platforms as state-regulated online gambling has not yet been permitted in Alaska through any state-level legislation. Considering the limited accessible gaming forms in the region, legitimate offshore online gambling opportunities are the best option for AK residents and state visitors looking to participate in more than just contest betting, pull tabs, and bingo. If Alaskans really want to experience wide range gambling they would need to purchase a ticket to hop on a casino cruise that allows gambling once in international waters. However, players would need to be at least 21 to gamble on these cruises. Therefore, we recommend gambling on secure offshore online destinations. This guide will take a look at what the state's gambling laws say about offshore online gambling, how federal laws affect these options, and where to turn to for safe, secure and legal US online gambling. Alaska has made no efforts to regulate any form of state-licensed online gambling despite federal permission to do so. Domestic forms of gambling formats allowed by Alaska state law include contest betting, casino cruises, and Class II gaming facilities with bridge, rummy, cribbage, pull tabs and bingo. Several of these bingo and pull-tab venues are tribal-owned; Alaska does not offer any lottery gambling or horse and dog race wagering opportunities either. Is Online Gambling Legal In Alaska? Despite the fact that Alaska does not support any type of state-based online gambling, the laws that are on the books do not prohibit residents from engaging in legally licensed and regulated offshore online gambling. 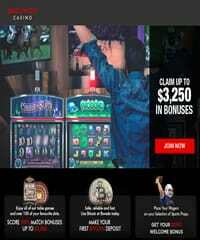 Those players living in or visiting Alaska can lawfully engage in this type of online gambling without violating any state or federal laws - no national law prohibits domestic access to online gaming destinations licensed and regulated by a legitimate governing jurisdiction outside the US. The recommendations you find on this page have all been vetted to ensure they are indeed legal Alaska online gambling sites. Every single one of the sites we endorse on our website are legally licensed and extremely reputable. But not all of them are pioneers in the industry which is just one of the reasons Bovada gets featured so much throughout our website. Their parent company (Bodog) was actually one of the very first gambling sites to go live in the 1990's. And they've been servicing the gambling industry ever since and have a perfect reputation in the community. If you want to play with the best, Bovada is our #1 choice. Below are just a few reasons players love Bovada. Are Casinos Legal in Alaska? While the above-mentioned casino cruise options allow for more game selection than onshore gaming, the required minimum age to gamble on either cruises casino floor is 21. However, wagering online through an online casino licensed offshore provides convenience and allows for players as young as 18 to gamble. Is Online Casino Gambling legal In Alaska? There are no AK state laws or federal laws which prevent Alaskans from participating in USA friendly online casinos hosted, licensed, and regulated offshore. While the state is still twiddling their thumbs at the idea of expanded gambling, let alone online casino gambling legalization we highly recommend native residents and state visitors to utilize this legitimate form of online gaming in the meantime. Licensed offshore online casinos regulated by a respected governing jurisdiction are the most secure option for AK players to use. In fact, our team has gone above and beyond traditional screening for licensing and regulatory compliance as they have also checked for fairness audits, timely payout speed, security, available deposit methods, and customer support satsification. The recommendations below are a cherry-picked collection of the best online casino brands. Is Sports Betting Legal In Alaska? Alaska has yet to regulate sports gambling in the state. However, in 2019 the state House introduced legislation to expand gambling and allow card rooms and sports betting. Currently, there are no US federal gambling laws which directly prohibit states from legalizing sports gambling in-person or online since the removal of PASPA and reinterpretation of the Federal Wire Act. While there are no major sports teams in Alaska for football, basketball, or baseball we do give a nod to the Rage City Rollergirls, a popular women's roller derby league in the Anchorage. Despite the lack of local teams to support and a state-licensed sportsbook, licensed offshore online sportsbooks provide betting lines and odds for all major, minor, and niche sports teams and events. Is Online Sports Betting Legal In Alaska? While at this time there are no state-licensed online sports gambling opportunities there are other licit avenues for AK players to utilize for betting. As discussed earlier in this guide, there are no legal obstacles which prevent AK bettors from betting on sports through a licensed offshore online platform like an Alaska-friendly online sportsbook. These sportsbooks are the most lawful option for Alaskans at least 18 years of age to use. Our team has recommended professional and high quality licensed and regulated offshore sportsbooks below. These US-friendly online sports betting options also hold good standing with the international gaming community, establish strong security protocols, and offer a wide range of banking methods and excellent customer support. Is Poker Legal in Alaska? Alaska has long grappled with allowing card rooms in the state but in a new bill introduced in the House legislature may mean residents and visitors will be able to soon. However, this expansion bill for card rooms does not automatically translate into state-licensed online poker gambling opportunities. First, we need to see how the AK lawmakers receive this 2019 gaming expansion bill. Is Online Poker Gambling Legal In Alaska? In the meantime, residents and visitors will need to utilize licensed offshore online poker gambling as the timeline for the state to legalize online poker gambling may be far down the line. As discussed earlier, there are no state or federal laws barring AK players from participating in legal online poker gambling from licensed offshore platforms or any other form of online gaming for that matter. We share a collection of licensed and regulated offshore poker sites welcoming players from Alaska who are at least 18 years old. Keep in mind, not all poker sites found online through a simple search are high-quality destinations or secure, so we urge you to consider our recommendations as they've been gathered after thorough brand vetting by our experts for compliance, licensing, security, reliability, payout speed, and helpful support services. Will I be breaking any laws if I participate in online gambling at offshore websites? The key to keeping things legal when enjoying online gambling is to make sure you only consider betting at websites that are operating legitimately within the business. This means they will be licensed, hold various compliance certifications, and are subject to regulatory oversight by through a legitimate jurisdiction. Our analysts are trained to effectively evaluate the credentials of online gambling businesses for authenticity and legitimacy and these are the only recommendations we include here. What is the legal gambling age in Alaska? The legal minimum gambling age in Alaska is dependent on which type of gambling you are participating in. For contest betting on dog mushing, canned salmon, goose classic, mushing sweepstakes, fish derbies, snow machine classic, and the deep freeze classic the minimum legal age is 18. To gamble at Class II gaming facilities to play bingo or pull-tabs players must be at least 19, and to gamble on a casino cruise, players must be 21 or over. However, Alaska residents and state visitors interested in participating in online gambling can do so through licensed offshore platforms. The minimum age restriction to gamble on these platforms is eighteen. Why hasn’t Alaska taken any steps to legalize online gambling? In general, public opinion towards gambling entertainment is not overwhelmingly favorable. In fact, residents have had a say regarding what gambling options would be allowed in the state, and they vote down most of them. Until residents can convince lawmakers that there is an interest in online gambling, we are doubtful that there will be any progress on this issue. Is it considered safe to gamble online in Alaska? The level of safety and security you experience while gambling online depends solely on the websites you choose to bet at. Our list of recommended gambling sites ensures your information's security, the sites we list all have a strong commitment to player safety and back that up with advanced security protocols. Should you decide to go it on your own and try out random gambling sites you find online, then you could be placing yourself and your sensitive financial and personal information at risk. Will I have trouble collecting my winnings from a gambling site located outside of the United States? Depending on how much you’ve won, you may have to collect your winnings through multiple payouts, but there are not any problems with collecting. 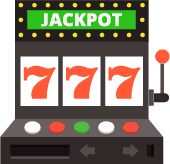 Most gambling sites have multiple payout methods, including check by courier, bank wire, and payments into ewallets or virtual currency such as Bitcoin. You do not have to collect in person, so there is not any travel expense involved. And to be clear, because we only endorse the top rated sites in the industry - you can be confident that every single gambling sites listed in our guide will pay out your winnings without any problems. What legal forms of gambling are available in Alaska? Alaska legally permits contest betting and Class II gaming facilities with pull-tabs and low-stakes bingo. These facilities are not considered casinos, as commercial casinos are illegal. Casinos cruises are available to take from the Alaskan port but the state does not technically permit them as they must go into international waters to offer casino-style gaming. Horse race wagering is not permitted either but available online, the same goes for lotteries as the state does not support lottery gambling but they can be found online. When will Alaska legalize sports gambling? Alaska's House legislature just submitted a bill which would expand gambling in the state to allow card-rooms and sports gambling. The bill known as HB103 would also create an Alaskan Gaming Commission to oversee activities. Right now the bill is fresh on the floor, therefore, we cannot accurately predict how legislators will feel about it at this moment in time.